With toxic algae and red tide continuing to impact the Sunshine State, three members of the Florida delegation scored a win this week on Capitol Hill to help alleviate the problems. Late on Monday, Florida’s two U.S. senators–Republican Marco Rubio and Democrat Bill Nelson–and freshman U.S. Rep. Brian Mast, R-Fla., announced that they had joined up to and include language in the compromise version of the Water Resources Act to build the EAA Storage Reservoir which is to be located south of Lake Okeechobee. 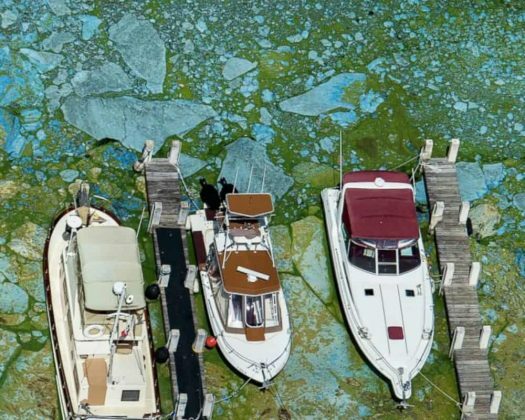 The three members of the Florida delegation released a join statement on Monday night with the announcement, insisting the storage reservoir will help in the fight to reduce toxic algae which continues to plague the Sunshine State. While Rubio is on the political sidelines this year after winning a second term two years, Nelson and Mast are expected to face serious challenges in November. Nelson will face Gov. Rick Scott in what is expected to be a key Senate matchup. Mast will face Democrat Lauren Baer in November.